Rather than explain in words exactly where we are at this moment, we found this absolutely incredible illustrated map of the Exe estuary and the surrounding environs, we'll let the map speak for itself as well as a link via the logo of the Royal Society For The Protection Of Birds, to look at the wonderful work that the society does and a delightful picture of a shoreline wader, the avocet, find out about this bird by clicking on the picture. You might also want to look at what the BBC has on their massive website on Devon and Cornwall. No matter what you're looking for, you can be assured, the good old BBC will have something or other on the subject...God Bless'em! 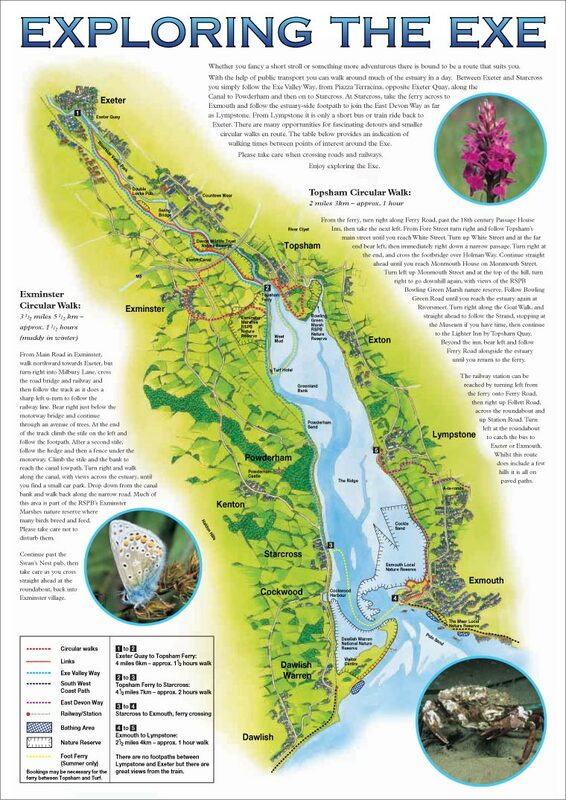 The first leg of our journey lies on the road between Exmouth and Topsham, you can follow the route with the large map, directly below the text body, and on the next page, we'll look for the links and pictures that go with the route, as is our usual way. 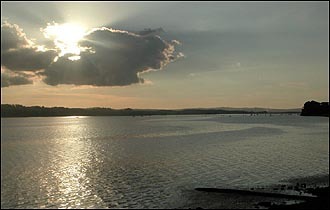 Anyway that's more than enough out of us, it's time to walk up the bank of the River Exe towards Topsham, so...let's see what we will see.